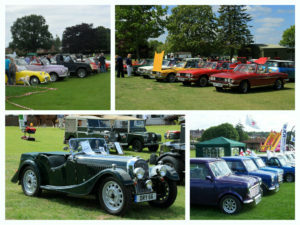 Based on the Recreation Ground close to Ilminster’s attractive town centre the Classic Vehicle Show – together with the Dog Show on the same site – has become one of the biggest attractions of the town’s mid-Summer festival. With around 200 cars and motorcycles it’s a great event to be part of. It’s free to enter your classic vehicle (although we do ask for a suggested minimum donation of £2 on the day to help us cover our costs with any surplus going to local charities). There are prizes to be won if you impress our judges or the public who also have the chance to vote for their favourite. To join the fun click here for an entry form you can download, or if you want to submit your entry electronically, click here. 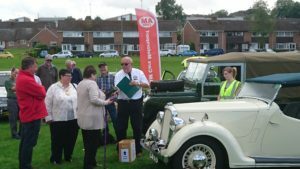 We have a limited number of pitches for autojumblers and the cost is very reasonable – just £5 if selling from a classic vehicle. Click here for an autojumble application form.